When you hear the term “foot contusion,” what do you think? A bruise? A little bit of black and blue? Soreness? It doesn’t sound like such a big deal, but New York podiatrists specializing in sports medicine understand that a foot contusion can be so much more. Minnesota Wild’s star forward Zach Parise was recently diagnosed with this foot injury, which turned out to be more trouble than he realized. The Minnesota Wild is likely to be hurting for a while without their leading scorer, who suffered a foot contusion gone bad. Zach Parise Foot Injury: What Happened? It was a fast puck off the foot on November 25th that first took Zach Parise out of the game. He blocked the shot, but boy, was it ever painful! Trainers said he had a foot contusion that would set him back two to three weeks. The team and fans were devastated! After all, Zach is Minnesota’s leading scorer, accounting for 15 of the team’s 85 goals. When combined with their other forward, Jason Pominville, the pair are responsible for more than a third of all goals. He also forms a fantastic duo with Mikko Koivu, skates fast, and has a knack for getting himself in the right place at the right time to block shots. The Wild is a relatively young team, so it’s no surprise this veteran player racks up an average ice time of 20 minutes per game. Replacing him definitely hurts… but what’s worse is the alternative: rushing an injured player out of recovery. Four days and one missed game later, Zach skated during warm-ups and said he felt good enough to play against the Colorado Avalanche. They end up losing 3-1 in that game. Over the coming month, Parise continued to play through his injury, but it was clear he wasn’t the same player. Despite playing the same amount of time as usual, he only scored 4 goals and 1 assist and recorded 3.1 shots per game during the 12-game streak — which was down from his usual 4.4 shots per game before the injury, according to SB Nation. The forward’s condition quickly progressed from “day to day” to bench time. 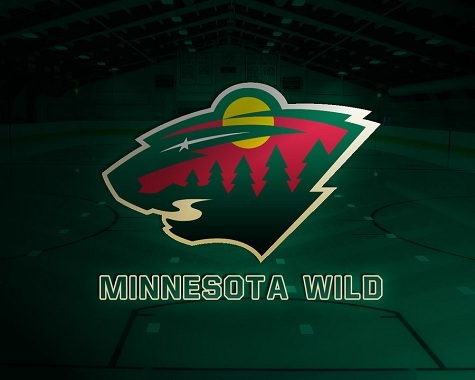 Parise was placed on Injured Reserve during the final weekend of December when it was discovered he actually had a fracture in his foot that hadn’t shown up in previous MRIs. Stress fractures generally take four to six weeks to heal. 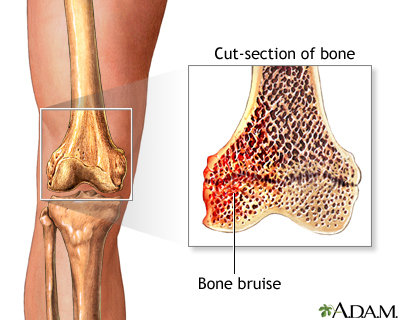 Bone bruises cause structural weakness that could get much worse if proper healing time is not observed. Are Bone Bruises the Same As Fractures? Medically speaking, the symptoms of bone bruises and fractures are very similar. Both include significant pain and swelling. A soft tissue bruise may clear up in a matter of days, but a bone bruise generally takes weeks to months to heal. Blood and fluids can pool in the adjacent soft tissues or even spread into the joint, affecting muscle function. “Because of the attachments of the muscle on the bone, and the irritation and inflammation in the bone, the muscle cannot contract appropriately,” the Epoch Times explains. There are 26 bones that can be affected by a foot fracture. Parise has been added to the US team’s Olympic roster, with the Sochi games beginning February 7th, but it’s unclear whether he will be healthy enough to play by that time. Tony Wiseau, writing for SB Nation, aptly summed up the situation: “After an initial timetable of 2-3 weeks, coming back after missing one game should have rung some ‘too-good-to-be-true’ alarms among Wild fans. Perhaps two to three weeks of missed play was not nearly as bad as suffering a month of diminished play, re-aggravating the injury, and now enduring more than a month without their leading scorer. » Will 3-D Printing Revolutionize Sports Medicine?